Taco Bell has over 20 different items for just a dollar each. How could so much decadence cost just one dollar? Who's really behind this? Is it the Illuminati? Or is it...the Belluminati? 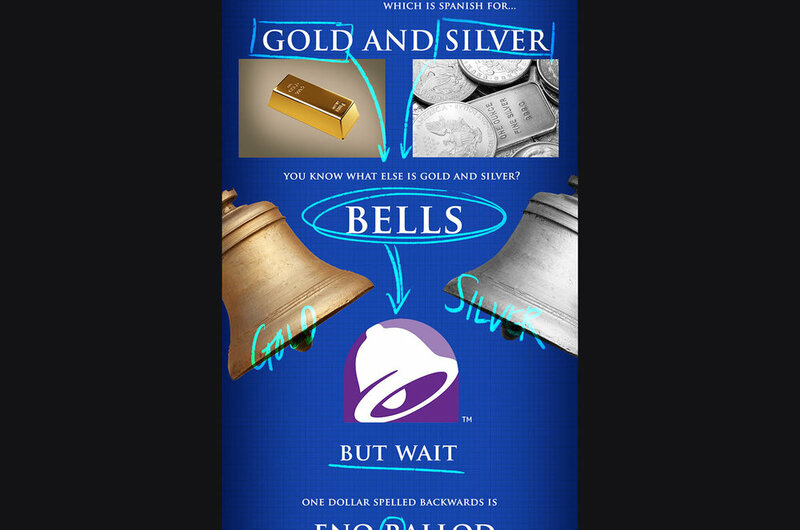 We gave those that preached (tweeted, in this case) about Taco Bell's value menu in the past, exclusive Belluminati kits with a blacklight and a single dollar bill that when illuminated revealed secret messages. 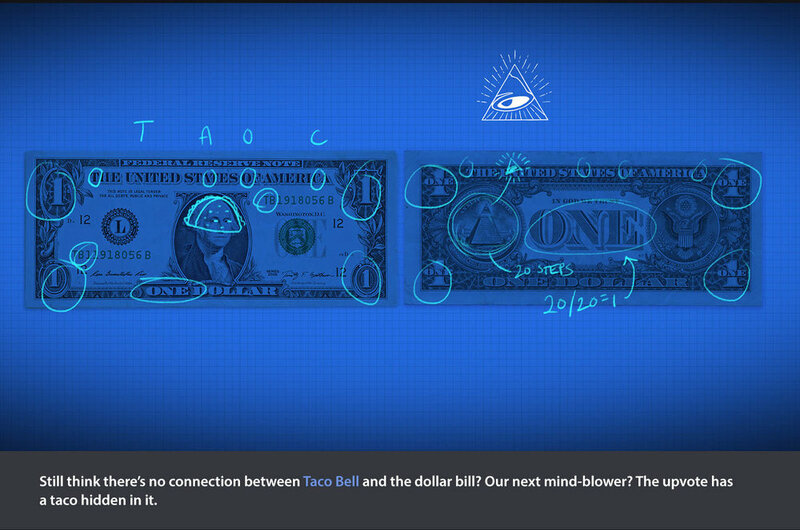 To further push on the connection, we created an over-the-top conspiracy theory linking Taco Bell to the one dollar bill. 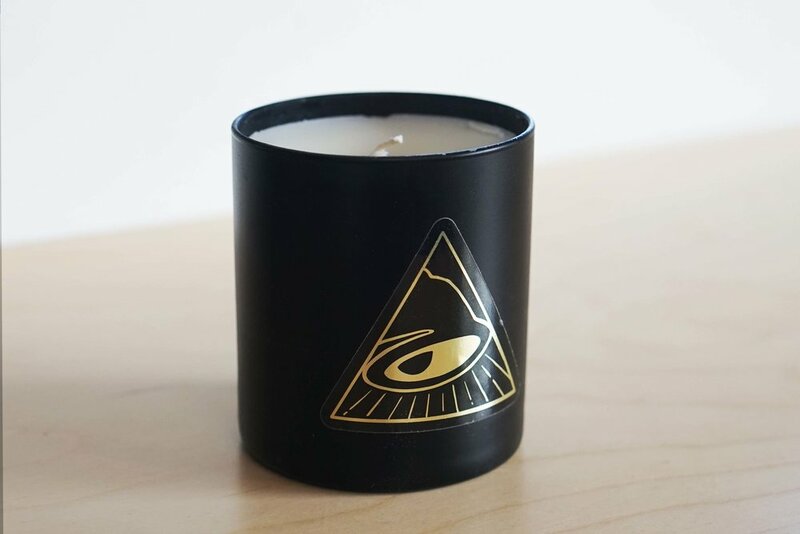 To emphasize that the "Dollar gets you more at Taco Bell," we created a secret web store that only those "in the know" could access. 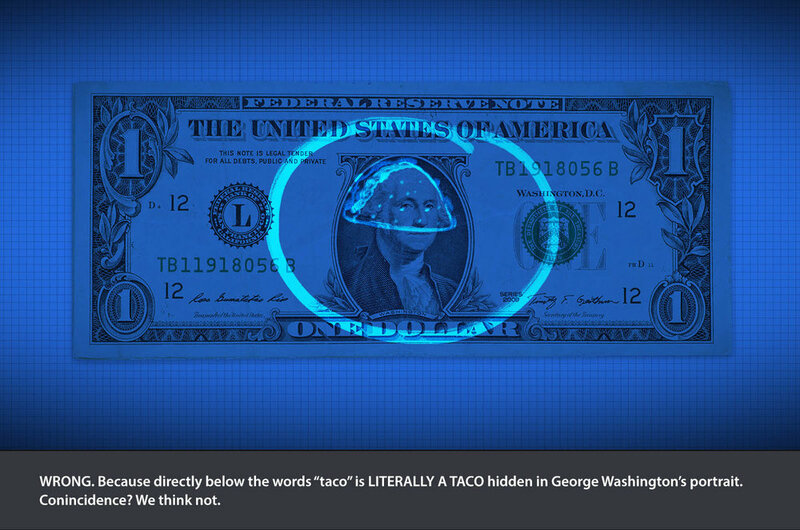 Taco Bell's followers were given three puzzles to solve to get the password to open the web store. We posted a video of Washington take a look at the corner of the bill. 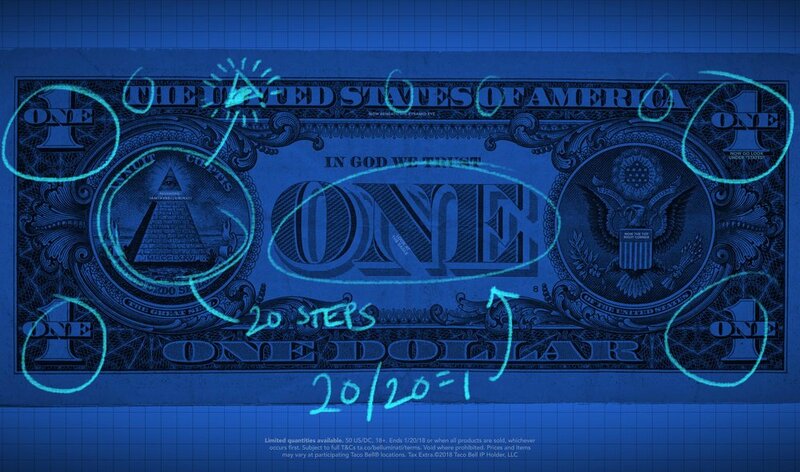 Could the answer be on your own dollar bill? Fans that were able to solve the puzzles were given the opportunity to buy exclusive limited-run Belluminati items. Each time store went live, it would sell out every time - in just a matter of minutes. Above: The Patch of Patch of Value, The Flame of Opulence, The Hoodie of the Crave, The Pin of Prosperity, The Hat that Bears the Mark, the Tee of Eternal Value, and The Book of All Things Secret. Tattoos, Youtube conspiracy theorists thinking we've "secretly" revealed something about the real Illuminati, the items popping up on eBay, and even a country singer letting us know his opinion on the matter.